Our Travel Desk is looking for ambitious, experienced, tech-savvy and service minded people who are interested in joining a technology start-up based in Europe and Asia. As part of the Travel Desk, you will be collaborating with a team of Travel Specialists in supporting our organization of Executive Assistants, Associate Executive Assistants and other Specialists in servicing clients around the world in a high-performance job from the comfort of your home. Do you have five years experience working as a travel consultant, travel reservations specialist, or in a customer service function dealing with travel management for executives or VIP's? Is your expected salary between PHP30,000 to PHP35,000? If you answered "YES" to all the above questions, then you are eligible for this position, and we look forward to receiving your application. The Sigrid.AI client base consists of C-Level executives that are frequent travelers, often require last minute flight bookings and changes, and need their travel to be coordinated with external stakeholders such as travel companions and customers. Our clients are often hard to reach because of the nature of their jobs and expect us to take full responsibility for managing bookings, check-ins and constantly changing travel plans with meticulous attention to detail. You will be trained in using the MySigrid platform and other relevant technology tools, and you will undergo continuous training at our co-working days twice a week, where you will also have the opportunity to network, grow and learn from your colleagues. This is a part home/part office based job currently open to candidates based in Metro Manila, Philippines. Sigrid.AI is part of the movement that uses artificial intelligence to create jobs out of AI instead of replacing them. Sigrid.AI is an executive assistant service, staffed by humans and augmented by artificial intelligence. Our executive assistants (EAs) are augmented by artificial intelligence and machine learning to build EA-relevant intelligence at an exponential rate that far outstrips the capability of a human assistant. This increases the capacity of our staff, making our service cost-effective for people who would not otherwise consider this type of support. Sigrid.AI's dual mission is to provide busy executives with the freedom to pursue their professional dreams and ambitions, while still having time for the other things that create meaning in their lives, such as health, family, and relationships. At the same time, we want to empower the millions of highly educated, hardworking and ambitious people who for reasons of choice or fate live outside the economic hubs of the world and give them an opportunity to have meaningful careers while staying close to their families and communities. Provide accurate business and private travel arrangements including making reservations, handling ticketing and check-ins for air, hotel and ground transportation. Propose the best alternatives regarding pricing & routing according to each client's changing needs and unique preferences. Keep clients informed on a continuous basis about changes to a particular travel schedule. Maintain an accurate and updated profile of each client’s unique travel preferences. Check document validity, provide accurate visa requirements and application details at the time of reservation. Build and maintain a good working relationship with the Sigrid.AI EAs, AEAs, and Specialists. Coordinate with airlines and vendors on bookings, cancellations, changes, refunds and other issues and requests. Manage and update Air Miles and other types of Loyalty Programs. At least five years of experience in Travel management (Flights, Hotel Accommodation, Transportation), booking and managing both business and private travel, accommodation and ground transportation. A strong aptitude and understanding of booking highly complex multiple leg international itineraries is required. (Knowledge of GDS is a plus). Excellent knowledge of travel markets, trends and travel requirements. A high level of spoken and written business English: ability to use the language fluently and accurately on all levels and as normally pertinent to professional needs; ability to understand and participate in any conversation within the range of own personal and professional experience with a high degree of fluency and precision of vocabulary with only quite rare and minor errors of pronunciation and grammar; ability to coordinate effectively with different airlines and vendors in written and spoken English; ability to thoroughly communicate complex travel itineraries in a structured way to clients and the team of AEAs and EAs. Ability to acquire a deep understanding of clients’ needs and preferences to propose world-class recommendations and calibrate travel arrangements on a continuous basis according to changing needs. Ability to work under pressure and multi-task, including understanding, prioritizing and handling multiple client requests if the need arises. Tech-savvy and with the desire and ability to work in a fast-paced technology environment. Excellent time management skills and with a strong sense of customer service. Strong Analytical skills, highly resourceful and creative in finding and presenting options with excellent attention to detail and a good sense of judgment. Ability to work efficiently and proactively, think clearly and solve tasks accurately and with confidence under pressure. Flexible and amenable to working on shifts. On-call including weekends, holidays and overtime if needed. 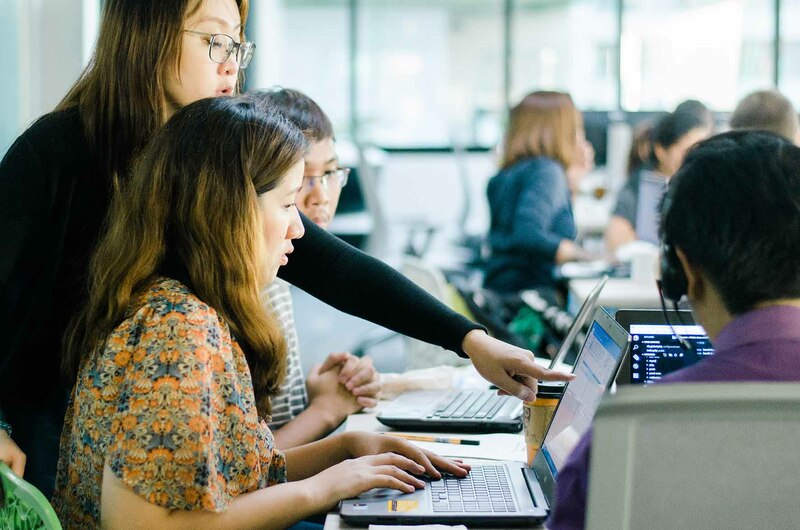 Sigrid.AI has a co-working office in Bonifacio Global City, Taguig where VEAs and management meet twice a week at the minimum.